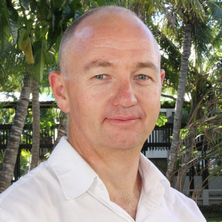 Simon Reid is an Associate Professor in the School of Public Health at the University of Queensland. He is a keen advocate of One Health approaches to tackle the wicked problems posed by zoonotic diseases. His research focuses on the development of one health strategies to control leptospirosis and other zoonoses in Fiji, Q fever in QLD and to improve infection control in veterinary practice. He is the co-convenor of the One Health Special Interest Group of the Public Health Association of Australia and he runs a successful postgraduate short course in One Health at UQ. Reid, Simon and Kama, Mike (2015). Leptospirosis: a one health case study. In Jakob Zinsstag, Esther Schelling, David Waltner-Toews, Maxine Whittaker and Marcel Tanner (Ed. ), One health: the theory and practice of integrated health approaches (pp. 190-200) Oxford, United Kingdom: CABI. Can general surveillance detect high priority pests in the Western Australian Grains Industry? How would high priority pests be reported in the Western Australian grains industry? Willingness to Consult a Veterinarian on Physician’s Advice for Zoonotic Diseases: A Formal Role for Veterinarians in Medicine? Tuberculosis diagnostics in Fiji: how reliable is culture? Potter, Abbey S., Banazis, Michael J., Yang, Rongchang, Reid, Simon A. and Fenwick, Stan G. (2011) Prevalence of Coxiella burnetii in western grey kangaroos (Macropus fuliginosus) in Western Australia. Journal of Wildlife Diseases, 47 4: 821-828. Atypical human trypanosomiasis: a neglected disease or just an unlucky accident? Reid, S. A. and Husein, A. (1998) Variation in the susceptibility of 6 strains of mouse to infection with Trypanosoma evansi. Journal of Protozoological Research, 8 3: 201-203.